Every day, 25 million businesses fight for engagement on Instagram. Competition is plenty — and given the platform’s unprecedented growth and popularity, it’s only going to get harder for brands to create visual content that stands out, connects with people and, ultimately, compels action. Photo editing and design: edit, collage, and resize your images. Video editing and design: design, edit, and resize your videos. Audience engagement: engage your prospects with contests, copy, and perfect timing. Analytics and data: grow your audience with more accurate, comprehensive data. Some of these tools are free, some are freemium (the base product is free, but additional features cost money), and others cost money upfront. But, they’ve all been used by thousands of marketers to achieve better results. They’ve all been proven to work. Now, feel free to make them work for you. These tools will help you transform your images in post-production. They’ll help you publish on-brand content that’ll compel your target audience, i.e., content that will click. Hootsuite Enhance is a photo-editing tool. A quick edit will, on average, will drive 45 percent more engagement to any given photo on Instagram. Hootsuite Enhance gives content creators a unique toolkit of effects, filters, and fonts that stand out, helping posts reach a wider audience. Users appreciate the app’s intuitive, icon-based interface, which makes cropping, editing, sourcing, and sharing content incredibly simple and efficient, not to mention fun. Layout is a photo-collage tool. 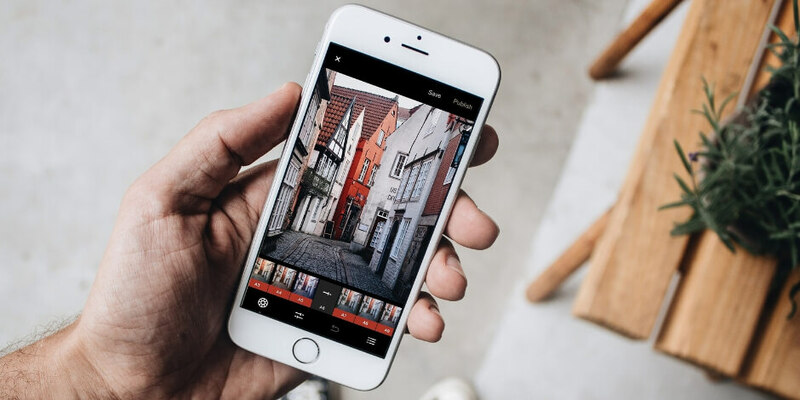 Developed by Instagram, Layout is a feature-rich, super-simple photo mixer that instantly “lays out” up to nine photos in various combinations to form a collage. Content creators can pick photos from their library or shoot on-the-fly images. Then it’s a matter of adjusting the dimensions of each box, adding filters, and uploading. Done. SquareSized is a photo-resizing tool. Instagram has a rule: every post must be a square. This keeps the platform clean and timeless. But it can also feel stifling to content creators who want to—literally—step out of the box. SquareSized solves this issue, giving users borders that they can wrap around photos, turning any-shaped image into an Instagram-ready post. 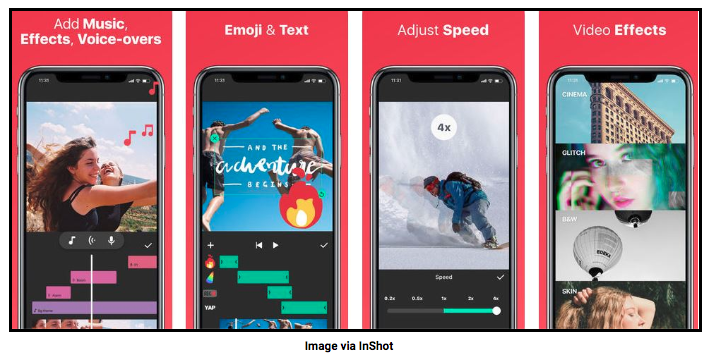 The app also comes loaded with a variety of filters, fonts, and backgrounds to help marketers stay on-brand. Priime is another photo-editing tool. If you need a high-end, professional-grade editor that can tackle RAW and non-RAW photos, consider Priime. This powerful app delivers more colors as well as maximum resolution to your saved photos. It also edits Live Photos, meaning the same effects are applied to the motion portion of a live photo. Not a post-production expert? No problem. Priime provides users with smart style suggestions based on a photo’s unique colors, content, and format. These tools will help you create videos that rise above the noise and stand out on a platform where literally anyone can point, shoot, and publish. 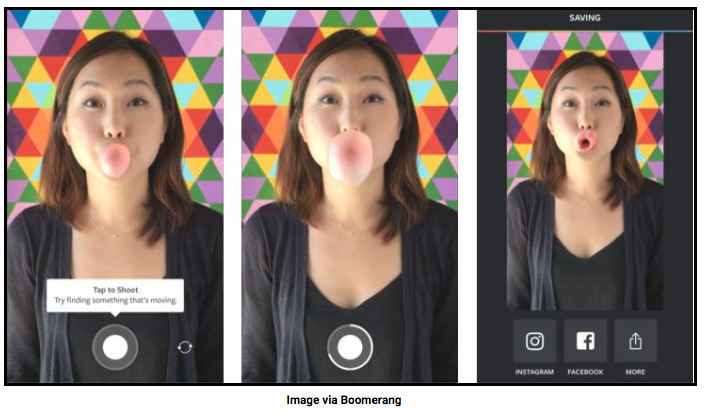 Boomerang is a video-editing tool. However you use it, it’s going to be fun—and more importantly for marketers, it’s going to engage your audience with captivating content. Quik is a video-design tool. If you’re not a seasoned video editor, Quik by GoPro can automate the process—or at least make it a faster, easier process. Designed to work with footage shot on any device, Quik’s AI will analyze video clips, selecting the best ones to piece together into something compelling. You can edit videos yourself, of course, but it never hurts to see what Quik comes up with. CropVideo Square Editor is a resizing tool. 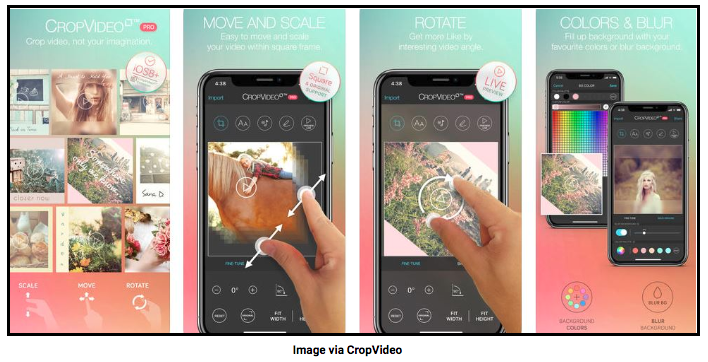 While Instagram is known to arbitrarily resize content, CropVideo gives users complete control over the position, size, and background color of their video content. It’s also easy and intuitive: just pinch in and out to adjust the frame, ensuring that audiences see exactly what you want them to see. Don’t like the outcome? Use the RESET button. Not sure if you like it? Use the PREVIEW button. Love what you made? Save it to your camera roll or share it on Instagram right away. InShot Video Editor is another video-editing tool. This is one of the most popular visual editors available to digital content creators, mainly because it’s so comprehensive. User can add music, effects, text and emojis, filters, and even voice-overs to their video content. If you like options—and freedom—consider InShot. These tools will help you engage your hard-earned audience with content that’s on-time and on-message. Captiona helps brands engage audiences with better copy. Each day, tens of thousands of Instagrammers use Captiona to find creative, relevant quotes and lyrics to caption their posts with. It’s simple: just search a keyword (e.g., “surfing” or “writing” or “Singapore”), and the app will bring up dozens of suggestions. Tap one to copy it, then paste it into Instagram. WhenToPost helps brands engage audiences with perfectly timed posts. WhenToPost tells users when their unique audience will most likely be using Instagram. 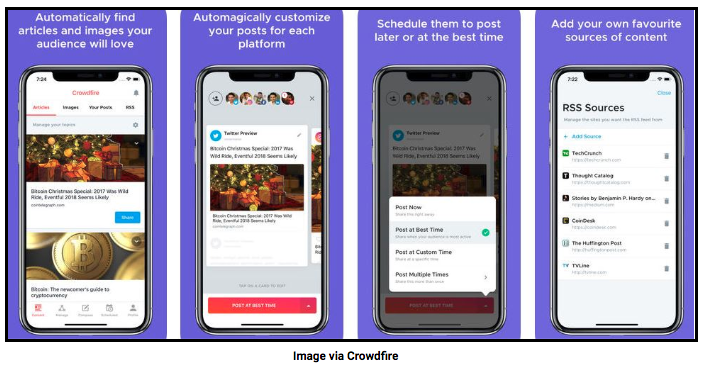 This information, then, helps brands pinpoint the exact best time to post, ensuring that their content is seen by as many followers as possible. Knowing when to push a post live should be a data-driven process. Nail it with WhenToPost. Crowdfire helps brands engage audiences through more accurate and consistent data. Inactive followers, or ghost followers, are users who follow your Instagram account but don’t like, comment, or share your content. For all intents and purposes, these followers don’t exist (hence the name) and need to be cleaned up, removed, lest they skew your engagement analytics. Crowdfire identifies your ghost followers and, if you so choose, seamlessly deletes them. These tools will help you extract the data you depend on to demonstrate the efficacy of your decisions and, ultimately, the value of your work. Hootsuite Analytics delivers comprehensive, real-time data. Hootsuite’s Analytics is a robust, highly customizable tool that collects and reports the nuanced insights brands need to make smart, informed decisions. Monitor your Instagram campaigns, identify trends, and track follower growth from a single, intuitive dashboard. Then use that data to learn about your audience and how they interact with your content — because knowing what resonates with people is essential to building a prosperous social media strategy. Instagram Insights helps brands natively track and understand their audience. If you have a Facebook Business profile, then you can access Instagram Insights, the platform’s native analytics tools. Once you’re set up, you’ll benefit from a variety of accurate, reliable metrics, including impressions, reach, and website CTR. You can even dig deeper to learn more about exactly what type of content your followers enjoy most. If that’s isn’t valuable, what is? Iconosquare helps brands identify and collaborate with Instagram influencers. Most analytics tools are centered around your organization, reporting on only your data. Iconosquare does this too—and very well at that—but it also gives users insight into their competitors’ performance, pitting your brand’s hashtag growth, daily post count, engagement rate, and other metrics against those of others companies in your space. This “community approach” to data makes the app a great resource for both competitive and collaborative analysis. In other words, if you want to partner with influencers to help disseminate your brand, Iconosquare can help. Command is an Instagram-specific app that provides users with a host of unique metrics. 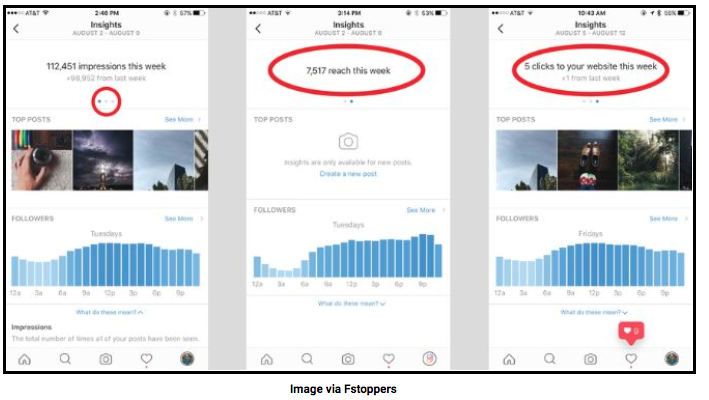 Any brand that wants to increase their Instagram footprint should be using a tool that provides advanced reporting, research tools, and data insights—a tool like Command. 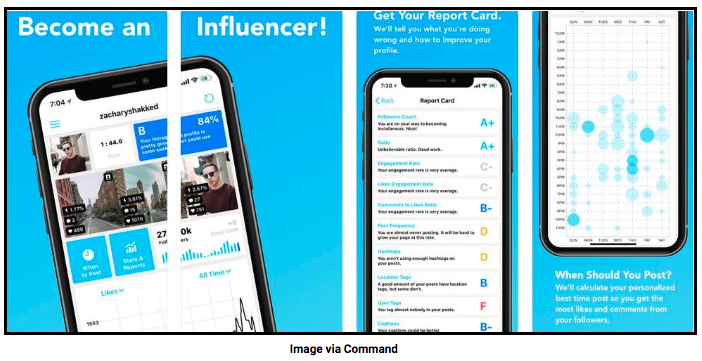 In addition to being a comprehensive analytics app, it also provides an intuitive experience thanks to easy-to-read graphs and charts as well as a “Report Card” that grades everything from your followers count to your photo orientation. Do everything you can to stand out. Because the competition on Instagram isn’t letting up. Every day, more brands are joining the platform, creating content, and adding to the noise. Get an edge. Download one of the apps above and take your posts to the next level.